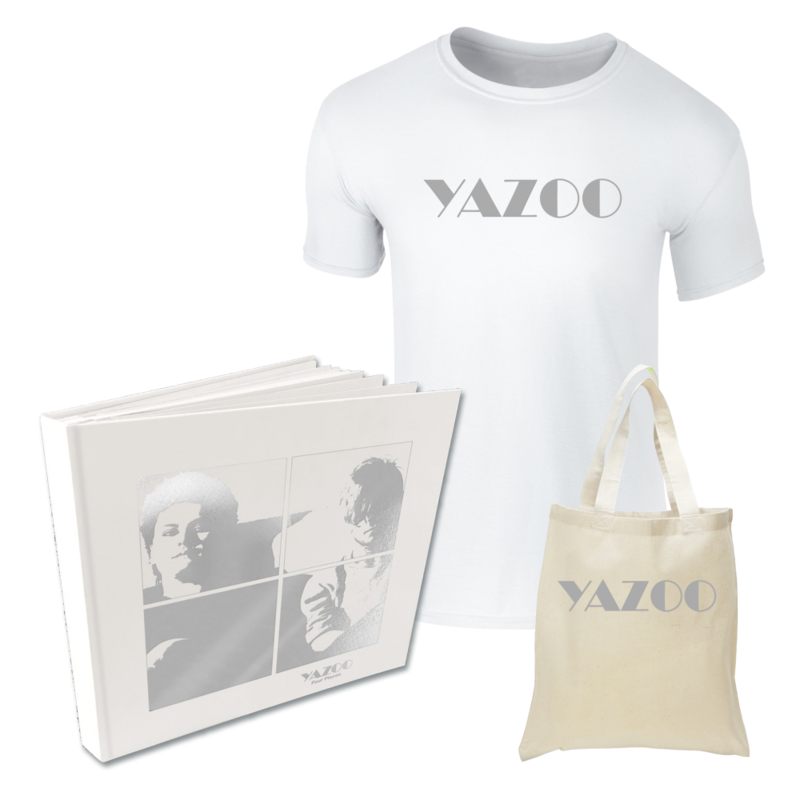 You want to own a Yazoo vinyl box? You can! A new behemoth vinyl box from Yazoo titled “Four Pieces” is coming this fall. “Four Pieces” is a deluxe vinyl box of 4 LP:s set in hardback book format, exclusively remastered and pressed on heavyweight black 180g vinyl. The cover is white, soft-touch, matt laminate printed with silver foil on the front and back. It contains the two studio albums “Upstair’s at Eric’s” and “You and Me Both”, but also a disc with rare mixes from the likes of Richard X, Todd Terry and Youth, plus the 2017 Orchestral mix of ”Only You” and a brand new remix of ”Winter Kills” by Minute Taker. The final disc consists of the early 80:s John Peel and David Jensen BBC Radio One sessions exclusively remastered and available for the first time. If you preorder you can also get a neat T-shirt and a tote bag. Check it out on yazooinfo.com.